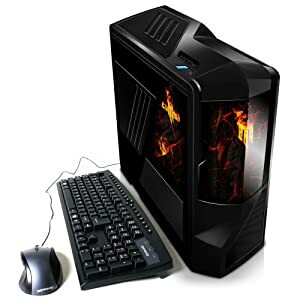 What's the Best Desktop Gaming Computer for 2011 - 2012? Home » What’s the Best Desktop Gaming Computer for 2011 – 2012? The best desktop gaming computer is that one you were going to build yourself right? In fact many gamers do prefer to build their own gaming rigs; however, for those who have the money to buy a pre-built machine, want a warranty and not the hassle, or simply don’t have the knowledge to build their own system there are many good options available. If you want to build your own rig, then check out our top ten lists above for 2012’s best gaming hardware.What to look for: The first place you should look to make sure you are getting real value out of your machine is the CPU. If you have the money, then try to go with a rig that is already compatible with Intel’s second generation or Sandy Bridge technology. If the CPU is 1155 based, then most likely your motherboard will be up to the latest USB 3 and Sata 6Gb/s technology as well. This could be valuable if you want to upgrade later on. The most important component of your gaming desktop is the GPU. Be sure to find out the exact GPU that the PC manufacturer used and do your research before buying. If you plan on playing up-to-date performance intensive games, then make sure that the gaming desktop computer has at least 8GB of Ram or can be upgraded to the level you need. One of the better rigs we’ve seen released recently is the iBUYPOWER Gamer Chimera Intel A989XLC Liquid Cooling Gaming Desktop Computer. It’s not the cheapest rig at around $1800, but iBuyPower consistently seems to give back more of your money, per dollar, then its competitors. Specifications include the all new i7-2600k – the same processor that most gamers have been drooling about since its release. The i7-2600k has been shown in benchmarks to be nearly as fast as many CPU 3 times its price. You get Intel’s 4 cores, 8MB of L3 Cache, and hyperthreading technology for 8 way multitasking. In addition the 2600k boosts automatically to speeds of up to 3.8GHz and is easier than ever to overclock to a stabile 4.5GHz. The Chimera sports a $500 retail graphics card in the GTX 580 with a massive 1536MB of dedicated gaming memory. 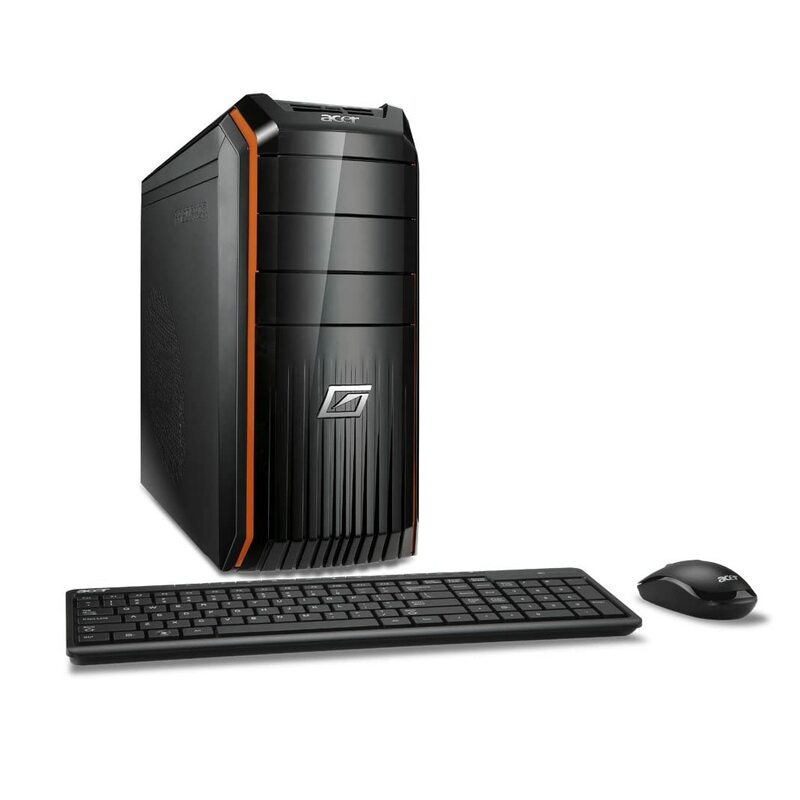 Additional specifications include; 2TB Sata III hard drive, liquid cooling, and Windows 7. Overall iBuyPower did a great job of putting together high level specifications at an affordable price. If you built this rig yourself you could expect to spend $1000 between the GPU, CPU, and motherboard alone. With the additional cost of the drives, case, ram, PSU, cooling, Windows 7, and HDD it’s hard to imagine you could build a similar model for much cheaper. In the Under $1000 Gaming Desktop price range take a look at the new Acer Predator AG3600-U4082u gaming desktop computer. It comes with the all new i5-2300 Sandy Bridge processor from Intel. The i5-2300 has 4 core performance with Intel Turbo Boost Technology for when your computer needs a step-up in speed. The Predator comes with 8 GB of DDR3 RAM (1333 MHz) and the NVIDIA GeForce GT420. Overall we like the Predator. While we wish that Acer would have considered a more high-end GPU, for your money it’s still a good buy – and you could always consider purchasing a higher-end graphics card at this price range. These are just a couple of the many great desktop gaming computers available (as of 7/1) for 2011. Which one do you have your eyes on? Leave us a comment below.